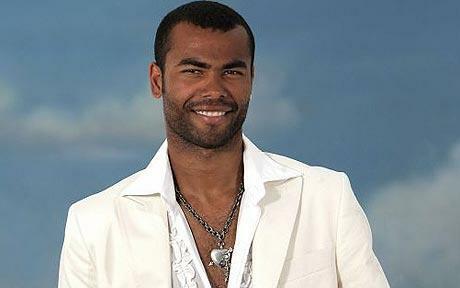 Is it about Ashley Cole's success? I don't think it is. His list of honours since joining Chelsea is impressive to say the least. He has been consistent in his position and one of the great defenders in Premiership history. No matter how unpalatable that is, its true. He still remains a villain to Arsenal supporters due to his leaving and the associated shenanigans connected with that departure. But this is not reason enough to explain the contempt in which he is held; after all maybe its just an Arsenal thing, an obsession and a hatred that perhaps should have run its course. No, the truth of it is much more about how hung up he appears to be about everyone else. His petulance towards referees and his indignation that the press should expose his infidelities are, by and large, standard operating procedure for the modern millionaire footballer but rather than being admired for his considerable ability and success on the pitch he is a reviled figure. On winning the Champions League he chose to have a dig at his former club rather than being effusive about his own achievement. He chose a lifestyle and a wife that made it impossible for him to retain anonymity and should also have accepted the 'rules' associated with those choices. Instead he carried on naively behaving as a kid in a sweet shop. Of course the average football supporter shouldn't care about what players get up to but the reality is that (right or wrong) supporters look for anything that they can use against perceived enemies. Time and again Cole has provided that ammunition; literally in one case when he shot a trainee. His latest action on hearing that the FA had criticised him was to respond in a pathetic 'how dare you' manner. The FA is the organisation that Cole is accountable to when he puts on that England shirt but that was not a consideration when he sent his juvenile tweet out to the masses. He has certainly come out of the whole sordid John Terry affair smelling of manure rather than roses. He seems to me to be a character who may say that he doesn't care what others think of him but ultimately does. He can't accept criticism and he seems loathe to let his feet do the talking. Were he to do that no one would be able to criticise him. Cole was a tremendous left back for the Arsenal and has been excellent for Chelsea for a number of years, but when he retires he will be looked back on as being one of the worst examples of the cult of the celebrity; footballer or otherwise.